Hanoi (VNA) – The Korean Tourism Organisation (KTO) and the Embassy of the Republic of Korea (RoK) in Vietnam jointly launched an arts programme at Star Galaxy Theatre and Convention at 87 Lang Ha Street. The programme, entitled Tourism Through Korean Arts Performance, aimed to offer a new outlook on RoK tourism to potential Vietnamese tourists and the audience through specific activities, as well as enhance tourism cooperation between the two countries. 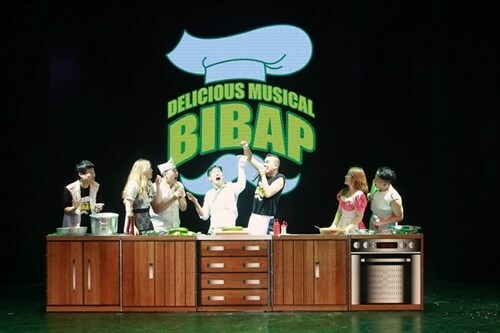 Eight renowned RoK arts groups - Bibab, Jump, Sachum and Drumcat, besides Kung Festival, Fire Man, Pang Show and Fantastic – participated in the three-day event. Besides arts performances, KTO also conducted many activities on the sidelines of the event to meet Vietnamese visitors’ demand for information about Korean culture, tourism and cuisine, such as demonstration and teaching of how to cook Korean dishes, make-up show, and free sampling of Korean food and traditional clothes.